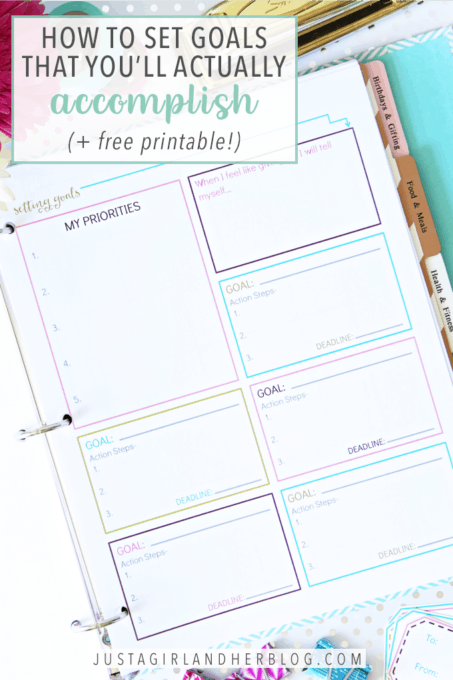 Learn how to set goals that you’ll actually accomplish and grab the free printable goal worksheet that makes it SO easy! Get ready to crush your goals! Back-to-school time always kind of feels like a second New Year to me. It seems like a fresh start and a new beginning, and I always try to take advantage of the extra little motivational push it brings to revisit my priorities and set some new goals. I love goals so much because I believe they work. They’re motivating and inspiring and encouraging and scary and overwhelming and phenomenal all rolled into one. 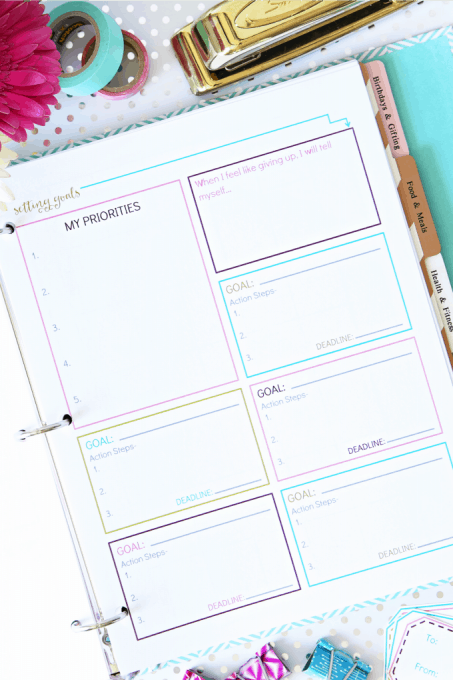 I have set goals many, many different ways, but I’ve found that my goals are most effective when they’re based on my priorities… and I just happen to have a cute little printable to help make priority-based goals that, when paired with solid action steps, breaks down the goal setting process so that you’ll be accomplishing them in no time! Click here to download the free goal setting printable! So why define my priorities first? I think if you ask most people, “What are your top priorities?” they would easily be able to rattle off 3-5 things that are most important to them in their lives. I’ve found, though, that the list of priorities I rattle off is not always reflected in the way I spend my time or even in how I set my goals. For example, I looked back at the goal-setting post that I did during my first month of blogging in 2013, and I had listed 26 goals. 26! That’s a lot! I don’t know that there is any way I could possibly make 26 different things a priority in my life. Were they all good things? Yes. Was it realistic to be able to put my full amount of dedication and effort into all them? Nope. Not even close. So this time, after I had set my list of priorities, I decided to simplify. I set only 5 goals which, coincidentally, meant one goal for each of my priorities. And as I usually do when I set goals, I put a few action steps in place for each one. See, it’s one thing to say, “I want to lose 10 pounds in the next three months.” But it’s another thing to declare your weight loss goal and set up a detailed workout schedule, a meal plan, find an accountability partner and actually make progress toward achieving your goal. Goals don’t just happen on their own. You have to take steps toward them, even if it’s just one little baby step each day. Once I listed my goals and baby steps, I gave each goal block a space to set a deadline so I would have something to shoot toward, and I also included a little box at the top to give myself a little pep talk and pump myself up for the year. It says, “When I feel like giving up, I will tell myself…” and I can fill in the rest of the box with encouraging words, an inspiring quote, or whatever I need to feel motivated. I’m so excited to see you crush your goals during this upcoming week, month, year, and beyond! Let me know the #1 goal you’ll be working on in the comments below so I can cheer you on! The image below is from a previous version of this post. Such fabulous resources and methods for goal setting. Love the freebie. I am set to improve my ways in 2015 by simplifying my whole life and am setting goals for the first time really. I think it’s going to make a huge difference and I’m excited for the achievements ahead. Thank you for the lovely printable and I wish you all the very best with your goals fhis year. I have a few different areas I’d like to focus on this year, and one goal per category sounds very reasonable and sane! One of my goals is to keep an Artist’s Date, a couple of hours or so once a week when I indulge in some creating, whether it be art journaling or writing or some new creative outlet. I’m a relatively new reader and I.love.your.blog! Thanks for being an inspiration! I have learned so much from your book and am inspired by your faith! Similarly I just finished my quiet time and coffee before the kiddos stir and I love the peace of the morning! Mainly just saving money and paying off debt! I love: Goal 2- Have at least one hour of electronics-free, family-focused time per day. I think that I need to add the “Do Not Disturb” time to my day! This has become so important to this year. Setting goals, keeping them in front of me and working towards them a little bit each day. Thanks for the printable! Love this post! I just bought your book a few days ago and finished it in one sitting. It’s amazing! I just started a blog (I know, I’m 5 years late to the party;) and your tips are invaluable. Thanks again!!!! Also, super exited for your printables kit. 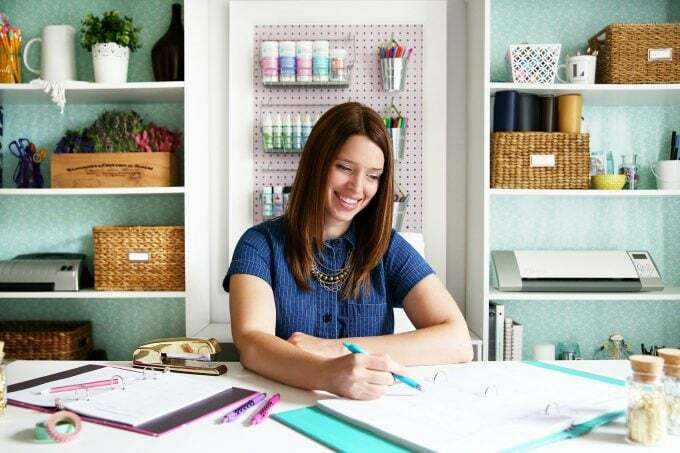 Your brain works so logically and is so organized, I know all your printables will be so helpful! Crossing my fingers for this to be the year for you and Donnie! I know you guys can do it! Anyway, so excited to see what God has for your family in the coming year! Happy New Year! p.s. Have you looked up The Navigators’ Bible reading plans? My husband and I did the NT only one last year and LOVED it…there are also full read through the Bible plans, etc. Anyway, just thought I’d mention it! I totally agree that taking a couple minutes to spend time with God first thing in the morning really makes a huge difference in the rest of my day. It doesn’t mean my day goes perfectly, but He prepares me to deal with whatever may come. I’ll be working at that goal just like you! There’s something about writing down goals and tasks that makes it more tangible for me. Taking the time to set them and decide how to accomplish them will be really good for me! Thanks for sharing this Abby! 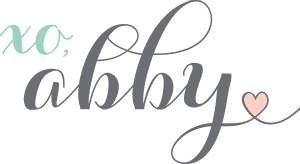 This goal setting sheet is awesome Abby – and I love how you examined your process!! Thanks for the printable freebie!! What a great way to keep yourself on track. I think that’s my biggest hurdle when it comes to goal setting – I have a hard time really tracking the goals so this is great! Thanks for sharing, Abby! Thanks for e printables, Abby! Perfect for staying on track! I love your list of priorities…. it pays over and over to out God first! 🙂 Have a wonderful week, friend! Abby- this print out is great! I’ve just started setting goals (long-term, middle-term and short-term) that coincide with a list of my top ten priorities I’ve been posting quite a bit about it lately and will finally list the short term goals very soon! Even so – I just may have to use your printout as a visual reminder and as a fall-back tool if my own system doesn’t work as well as I hope! Love your goals! I am still working on mine! I think the addition of the new baby at the end of last year made everything slow way down (and at the same time speed up!). I am trying to make goals that I will actually achieve this year, we shall see how it goes! I am hopeful. Thank you so much for this amazing printable – while I have always been proud of being a disciplined, organised person, the past two years have been a downward spiral in terms of university and personal relationships. But this year, I’ve been telling myself, will be different, against all the odds and scares. And setting goals in such a manner might really help – I need to focus on my blog, on my health, and on myself, a lot. I know I feel better when I work out regularly, and after a lazy period for the whole last month, I’m picking that up again. Maybe that’d be something for you, too – I have a DVD with cardio-pilates workout sessions of 20-30 minutes. Every morning right after rolling out of bed, I put on the gym clothes that I have lying next to my bed, and get to it. It’s only 20 minutes, and it really gives me a better start into the day. As for electronics, I’ve been trying for a week now to have at least one hour of downtime/screen-less time (except for my e-reader, which is not backlit) before I go to bed, so when my alarm for that goes off, I turn off internet on my phone, take a nice hot shower and just have some me time. It’s done wonders for my sleep, actually. Good luck with your goals, Abby! this is awesome! I am going to pin this for later! I am lucky to find this blog while looking for goals and ideas organizer..it is more than my expectation..
i am trying to purchase your 2016 planner, am from Dubai UAE, when i enter my bank details, its asking for zip code? there is no zip code in a card, so what will i do? I hope this helps! I apologize for the inconvenience. Thank you so much for checking out the planner! Thank you for the free planner, and the tips. I really appreciate it. Can’t wait to write my goals on it! Hopefully this will help me to achieve my goals. like all your stuff really cute. Yay! So glad the worksheet and the webinar were helpful! I always learn so much from Michael! Hope you have a wonderful weekend, Heather! So glad they’re helpful! Merry Christmas! Now this is just a great way to start the year on the right foot and set SMART goals Abby! I will use it and I am sure we will accomplish so much more than last year! You had me at the C’s! Your blogs always pop up on Pinterest when I need them most lol. Thanks for making this printable! I don’t see the free printable… am I missing it? If you click on the photo right after the words “I just happen to have a cute little printable to help make that happen!” or the words underneath that photo that say, “Click here to download the free goal setting printable!” the printable will download. This is great, Abby! So true that just saying we want to do xyz is different than setting a goal and paving the path to get there. I love the action steps printable! Thank you Abby! A lovely simple technique that is oh so do-able!!! I have made notes in my planner, and will now create a goals page using your plan!!! This is exactly what I need right now in the middle of winter with a very busy season about to start in my life!! So glad it was helpful for you! Love to hear that! Have a great week! This is super helpful! I think my problem is I have too many goals/to-do items, and it’s hard for me to focus. I am in the process of prioritizing and living each day more intentionally. Just gotta stay motivated! I was busy with goal planning and looking for a printable when your freebie arrived in my inbox! Just what I needed and so pretty too. Thank you! Yay! So glad it came at the right time! Love when that happens! 🙂 Hope you have a great week! I used to do the same thing. You mentioned you had 26 goals, there was a time when I had 100 on my list! Today, I have a dream list (that 100) and goals. My goals list is maybe 5 to 10, depending on what I am trying to do. Then, I break it into priorities and this is limited to just 5. I think 5 is as far as anybody can really go when it comes to truly making something a priority. What helped me to stick to my goals is to publish my new year resolutions publicly on my blog, and then to provide the report at the end of the year. 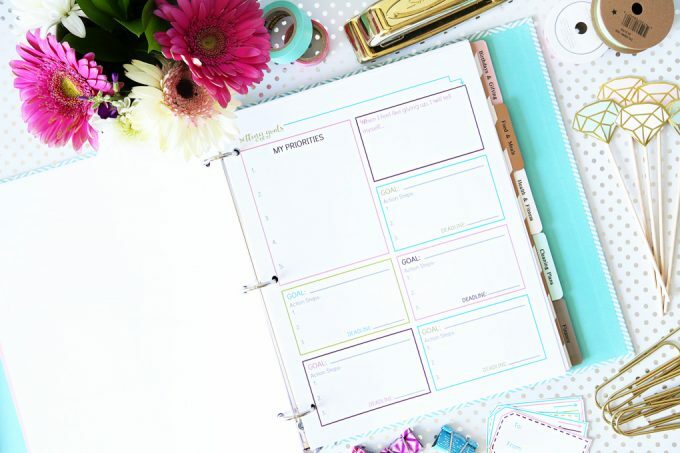 But for the daily goals, your printables would suit perfectly! Thank you! It is my first time using goal sheets; I am a little nervous to see how this will work for me.